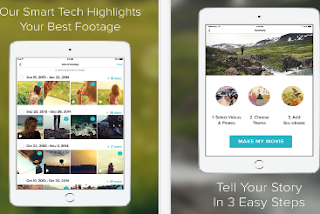 This is a great app to use for easily creating short video clips. It allows you to record using your iPad camera. You can combine multiple clips into a single video and add soundtracks from YouTube’s audio library.And when your movie is ready you can upload it to YouTube or share it via social media websites such as Facebook, Twitter and Google Plus. This is another great app for creating short educational movies to share with students in class. 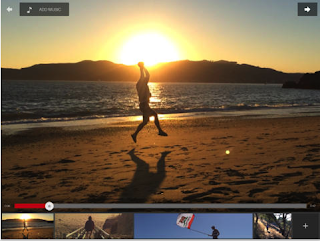 It provides you with a number of key features to build your video story. You can upload photos and videos you have on your device gallery and edit them on Magisto. You can also use the app as a smart video camera and start recording videos from scratch. Magisto provides you access to some powerful video effects that include: stabilization, facial recognition, video filters, transitions and many more. You can use this app to create beautiful movies from videos and photos you have in your camera roll or in a cloud storage platform such as iCloud or Dropbox. 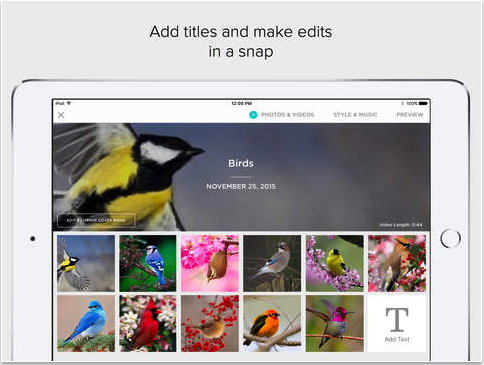 Animoto Video Maker provides over 50 sleek video styles to choose from and its built-in music library features hundreds of songs to add to your videos. You can also add captions to photos, trim clips and use into/outro cards to make your videos engaging.